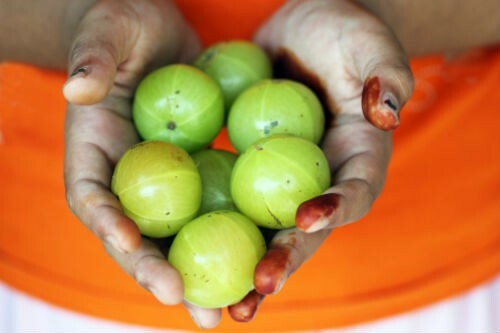 Nellikai (Amla/Gooseberry) is rich in Vitamin C and has numerous health benefits. 1. Chop the nellikais and discard the seeds. 2. Combine this with ginger, green chillies, coconut and salt. 4. Add this to the curd and mix well. 5. Heat oil in a small frying pan. 6. 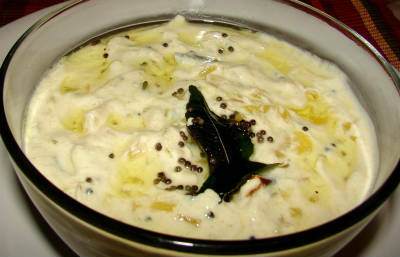 Fry the mustard seeds for 30 seconds and add to the pachadi. Feel free to comment or share your thoughts on this Nellikai Pachadi Recipe from Awesome Cuisine.